With each retort, as subdued as it is threatening, we see satisfaction in their eyes which begs to question how far they will go to maintain power and at what point the other will break. Despite having the same twisted feel as his other films, The Favourite is bizarrely enough, Yorgos Lanthimos’ most mainstream film, featuring an A-List cast and straightforward plot which doesn’t rely on supernatural elements albeit some spiritual references to animals. The Favourite is a masterclass in acting in what is easily one of the year’s best screenplays, which satirizes aristocracy whilst highlighting the depths people go to so they can remain close to power. 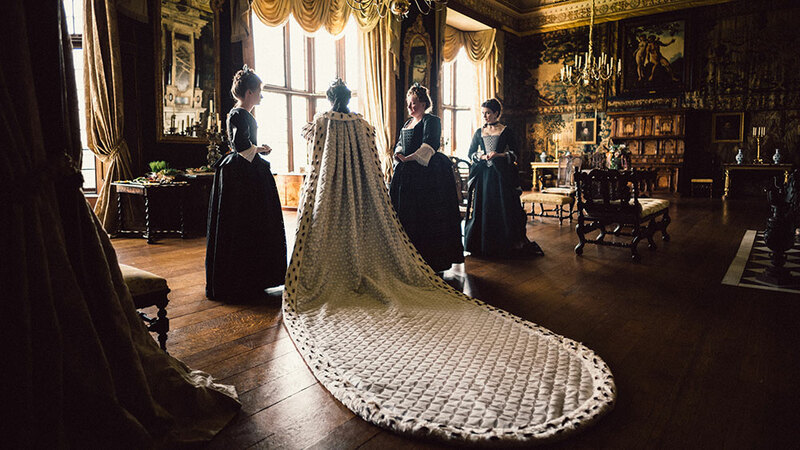 Set in the 18th century, cousins Abigail and Sarah vie for the attention and affection of Queen Anne (Olivia Colman) during the backdrop of the war between Britain and France. Not without faults of their own, the matter which Abigail and Sarah go about their campaigns for power are equally abhorrent: Abigail using trauma and flattery to manipulate whilst Sarah taking advantage of her standing with the Queen. Cunning and masochistic, all characters have dissociative tendencies – being estranged from pain and emotions – and where necessary resort to threatening and violent acts in the pursuit of power. It is clear from the start that Abigail has her own agenda with her ascent from poverty-stricken-maid to confidant courtesy of her willingness to observe, lie, calculate and choose when to attack. Sarah, who is less discrete in how she conveys her dismay, is motivated by political means and is willing to manipulate Queen Anne’s decision-making for the betterment of Britain. The dynamic between the rival cousins is what The Favourite hinges on with both actresses bringing their A-game in performances that will surely put them into consideration during the awards circuit. Colman delivers an assured performance, going to extremes to portray Queen Anne in a role which ranges from sullen toddler to a demanding, abusive ruler that believes love should have no limits. Rounding out the cast is Nicholas Hoult (donning a powdered wig, mascara, and buttons galore), a conspiring, land-owning politician who is pompous to the point of hurting Britain’s chances of winning the war. The performances featured in The Favourite never feel over-the-top and are in-tune with the macabre vibe felt throughout the film. Scribed by Deborah Davis and Tony McNamara, Lanthimos’ absurdist direction prevents the material from becoming another story about paranoia. Every element of the film is considered, even the transition slides which attempt to be symmetrical, but are not, contribute to building a sense of off-ness in the film. 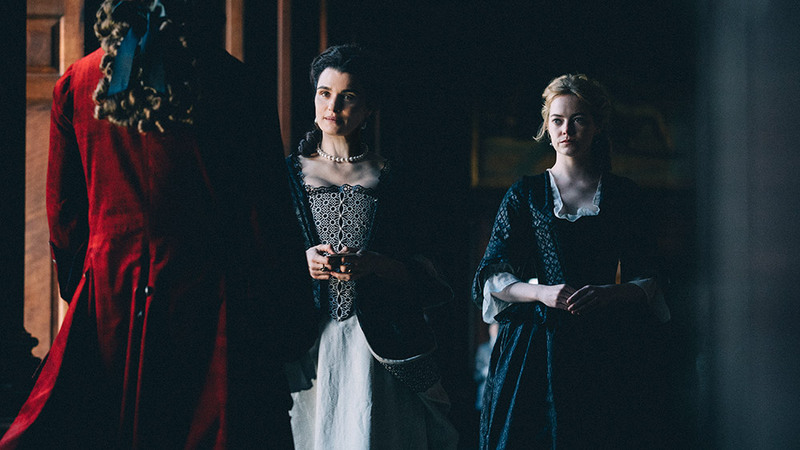 Music in The Favourite is dramatic, though does not overpower the scenes thanks to a careful decision to not have it interrupt the actors while they are talking but also to have it appear as short, sharp plucks of chords or piano keys to illicit tension. Though only briefly exposed to the world outside of the beautifully-manicured palace, many of the characters talk of concerns regarding poverty and turmoil despite eating, gambling and partying to excess. This embarrassment of riches carries through to the production and costume designs with each set looking like they came from the Renaissance and all characters being adorned in black-and-white drapery (as if it were important for their garments to occupy as much space as possible). Each shot looks like a work of art, particularly those at night time with the inclusion of 360-degree camera angles allowing for wider shots that capture the expressions of many. An impeccably acted, beautifully bizarre and demented tale about the fascination and obsession for power, The Favourite is thoughtful filmmaking at its finest. This will be the second film collaboration of director Yorgos Lanthimos with actresses Rachel Weisz and Olivia Colman after The Lobster (2015).